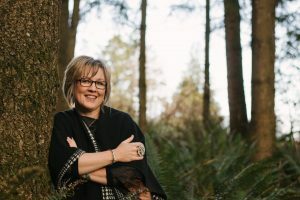 Profoundly connected to the land where she lives and rooted in a deep spirituality, Cathy writes and sings from soul depths. Her lyrics and melodies flow out of the stories of her life. Her many compositions have been described as ‘healing, inspiring, hope-filled, honest and courageous’. Remain in Love is her newest musical release (March 2018) and was nominated for Inspirational Album of the Year with the Gospel Music Awards of Canada. Listen here. Cathy has been sharing the music of heart for over a decade and has been nominated 4 other times for Gospel Music Awards of Canada. Check out more about her recordings here. A main focus of her music is through Evenings of Sung Prayer. Cathy creates evenings where the ‘collective voice’ of song may emerge in prayer. These gatherings have taken place all over the Fraser Valley and Vancouver, including Catholic, Lutheran, United Church, Mennonite Brethren and Anglican denominations. They are currently being held in partnership with St. Dunstan’s Anglican Church in Aldergrove. Learn more here. Cathy also shares music through concerts, retreats, and community events. Cathy has also been involved in leading contemplative soulful retreats since 2003. Through stillness, song, meditation and the great outdoors, Cathy creates spaces of healing and restoration for the soul. Soul Care retreats are experienced through her home retreat centre, the Westminster Abbey in Mission, Bowen Island, the Sunshine Coast, and Mt. Carmel Spiritual Centre in Niagara Falls. Cathy also provides soul care through a 12 month program called Anam Cara. Learn more about Soul Care Retreats here. On-Line Soul Care Journaling Course NOW AVAILABLE HERE. Cathy is also a trained Spiritual Director and is a Mentor at the Haden Institute. She offers one-on-one companionship. Cathy’s Music Studio has become a well-respected business in Mission since 2001. With over 30 years of experience, Cathy has taught piano, recorders, ukulele, and voice. Her teaching is now generally limited to music mentorship 2 days a week in voice and piano for ages 7 and older. Cathy has a passion to help people of all ages experience the beauty and joy of music in their lives. Interested? Learn more here. Also a painter and published poet, Cathy is the proud mother of grown daughters and she currently lives in Mission, B.C. August 2018 – Cathy has been nominated for the COTA (Celebration of the Arts) award by the Mission Arts Council. from the new release, REMAIN IN LOVE. FULL ALBUM Listen here.